We're finalizing our order and are going back and forth between the aluminum and metal weave trim. 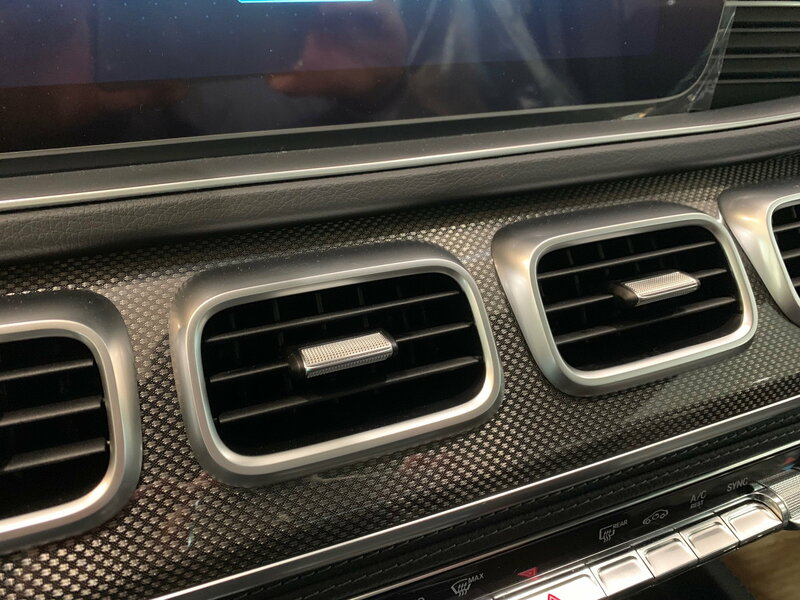 Are ordering black interior w/ black headliner and have seen the metal weave trim in that configuration - it's very nice, but we think the aluminum will contrast ("pop") more with the black on black interior. Only hesitation on the aluminum is potential for scratches - dealer suggested it could be covered with a 3M or similar clear protective film. We have a similar looking trim to the Metal Weave in our Audi with all black interior. Personally I like it better than Aluminum, it has an expensive look. It has some contrast but blends well too. If you can’t look at a Benz with it try Audi, it’s a popular trim. It gets down to a personal choice, IMO. 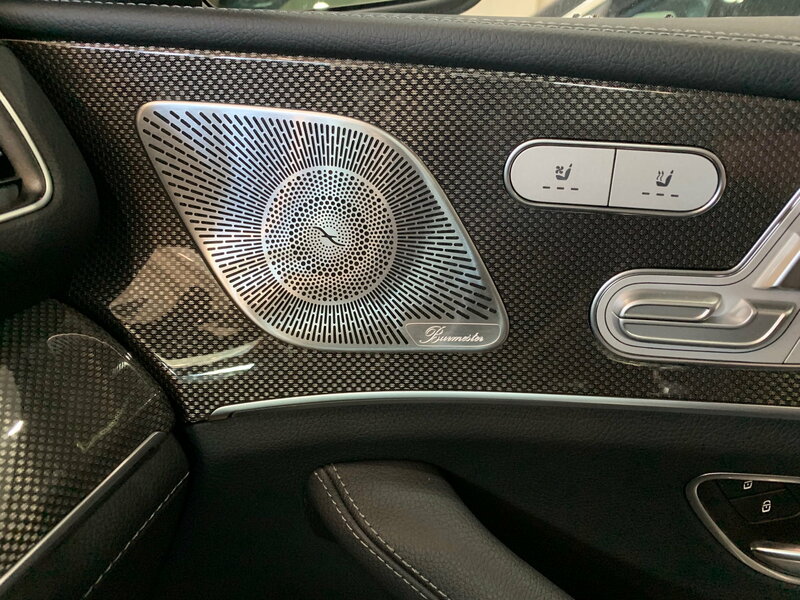 Just a heads up, and you may already know, on both Metal Weave and Aluminum trims the console is piano black, or so I was told, and told again. I considered the Metal Weave and grey gloss linden wood and ultimately switched to walnut as I wanted the console trim to match the rest (door,dash) of the trim. If you are a fan of piano black, all good then. Did anyone else get this bad news? Last edited by KJ; 03-11-2019 at 07:16 PM. The piano black doesn't bother me with the black on black interior...going for a sportier look. So has anyone else heard that Metal Weave Trim is being blocked from production until Jan. 2020? I have the Metal Weave trim on my order (estimated delivery in June), but I have not heard anything from my dealer regarding a production delay for it. My estimated delivery is also in June. Seems like I may have just missed the cutoff for this. To be honest, I'm really annoyed about this. How can something as simple as a piece of trim be delayed until Jan. 2020 production. Last edited by KJ; 03-12-2019 at 04:20 PM. The 350 demo I drove 3 weeks ago had metal weave. I ordered all black interior with textured leather and metal weave trim. My order just arrived at dealership and I will send some pics when I go in this weekend when back from vacation. Congratulations! Looking forward to seeing your photos. I guess Canada gets the shaft. Can't see why they need to delay production for 9-months for something as simple as metal weave trim (which is widely available for U.S. cars). I'm sure it literally snaps into place in 30-seconds with some clips. Anyway, I delayed my order until Jan. 2020 production because I'm not flexible on the trim I want. My 2nd-option was to pay for carbon fiber (not an option) or go with Open Pore Ash (also delayed until Jan. 2020 production). If they really want to risk losing a sale for $105K CAD + tax over something like this, then I guess that's their choice. Seems ridiculous to me though IMO. Perhaps Mercedes will change their tune and move the production date for these trim's up later on. You might email them your comments! Seems dumb that it’s not available but maybe it’s a supply issue. I will definitely e-mail them, thanks for the advice. I pretty much chose every single option, including E-ABC. I would figure a LITTLE flexibility to make the customer happy wouldn't be too much to ask right? If it was a supply issue and no one was getting Metal Weave Trim, I would understand. But everyone in the U.S. is still getting this trim and I see tonnes of pictures of cars at the dealer with metal weave trim. That just tells me that they don't want to give it to Canada, and it's not because of supply. Went to see my order this morning. Here are two close ups of the trim. I like it. The metal weave is very nice. I like it. Is the console trim piano black? Last edited by GregW / Oregon; 03-16-2019 at 03:37 PM. Much nicer than the computer generated images. Wish I had ordered it! If anyone has or happens to see a GLE with the aluminum trim, would love to see an actual pic of it, thanks! Can't the trim be switched out/installed afterwards? My husband wants metal weave as well (me too) but looks like it won't be available with our orders. Yes, it can be changed but likely to be quite expensive given that the option price is $600; will likely be more through parts, then there’s the labor, unless you tackle it yourself.